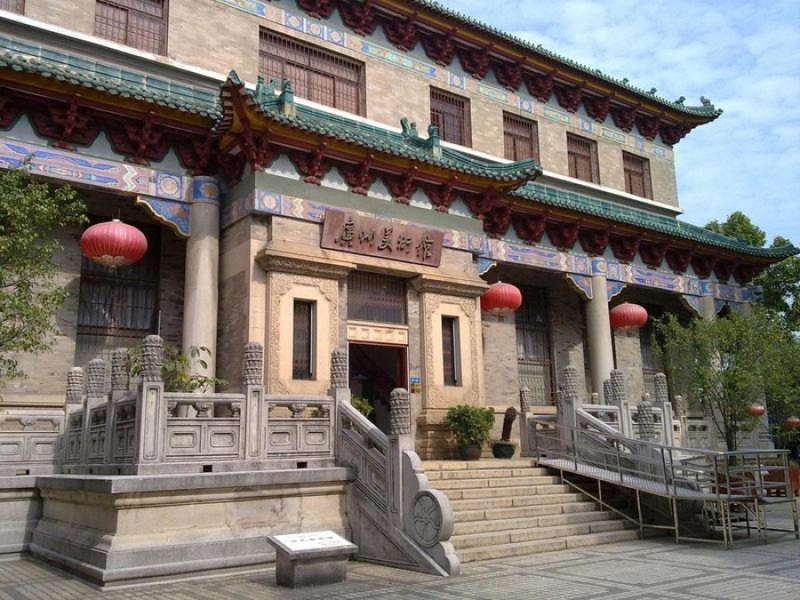 The Guangzhou Museum of Fine Art is conveniently located east of the Zhenhai Tower in Yuexiu Hill. The Art Museum is based on the Wenhua Hall in the Imperial Palace in Beijing, featuring grey bricks, green tiles, upturned eaves and a secluded chamber. The Guangzhou Museum of Fine Art specializes in exhibiting works by both unknown and well-known artists. Directly outside the exhibition hall, stands a circular stele corridor with 118 inscriptions by celebrated calligraphers from the Jing to the Qing dynasties. In 1998, the corridor had to be extended to the eastern side of the museum to showcase inscriptions from the Sea and Mountain Immortal hall of the Qing Dynasty. Getting there: Bus number: 24, 63, 103, 104, 109, 110, 122 or 211 (get off at the Yuexiu Park Station); Bus number: 6, 10, 33, 36, 66, 184, 190, 191, 219 or 544 (get off at the Xiaobei Huaquan Station)visitors can also reach this area via tube. Take Metro Line 2 and get off at Yuexiu Park Station.